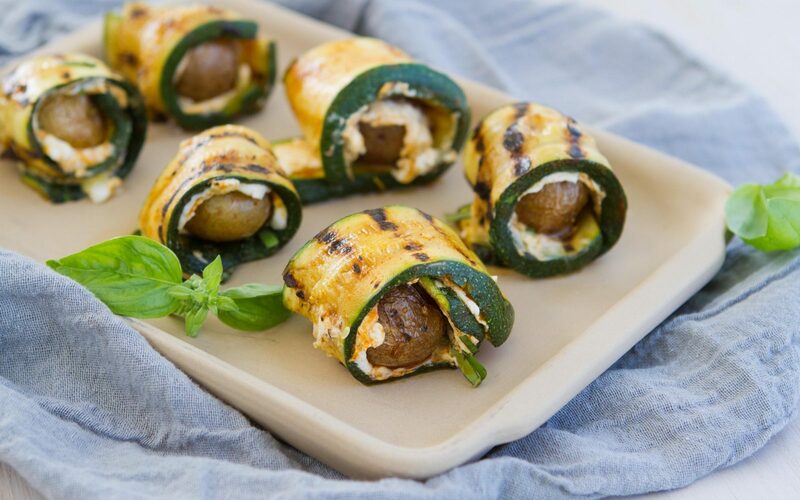 These fantastic vegetarian grilled zucchini potato rolls with goat gheese are great as an appetizer or even a light lunch. 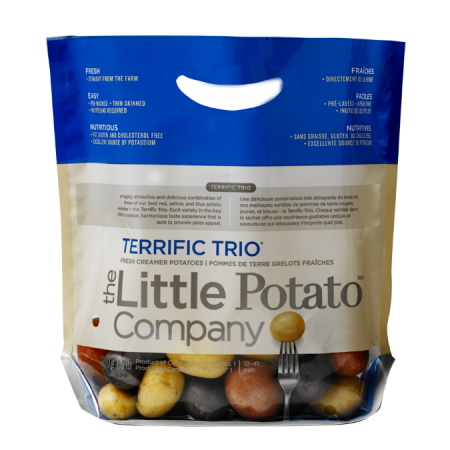 Place the Little potatoes on a baking sheet, and toss with the olive oil, paprika, rosemary and salt. Bake until fork tender, about 30 minutes, stirring halfway through. Slice a strip lengthwise from zucchini to expose the inside of the vegetable. Discard or save for another use. Cut the two ends from the zucchini, and discard. Cut the zucchini lengthwise into half-inch strips. Spread one teaspoon of goat cheese on each zucchini slice. Place a potato at one end of each slice. Roll the potato up in the zucchini. Serve immediately.